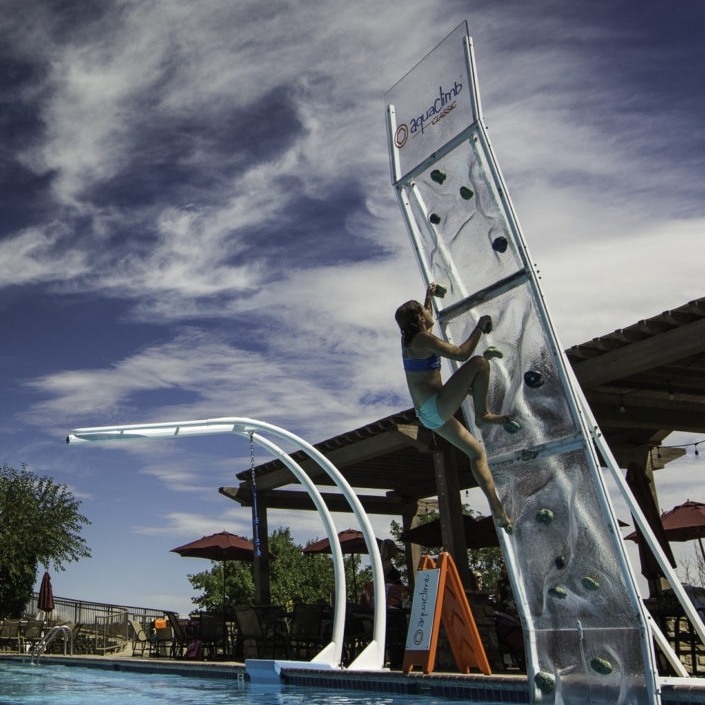 Join the thousands of recreation and fitness centers around the country that have added an AquaClimb to their facility. 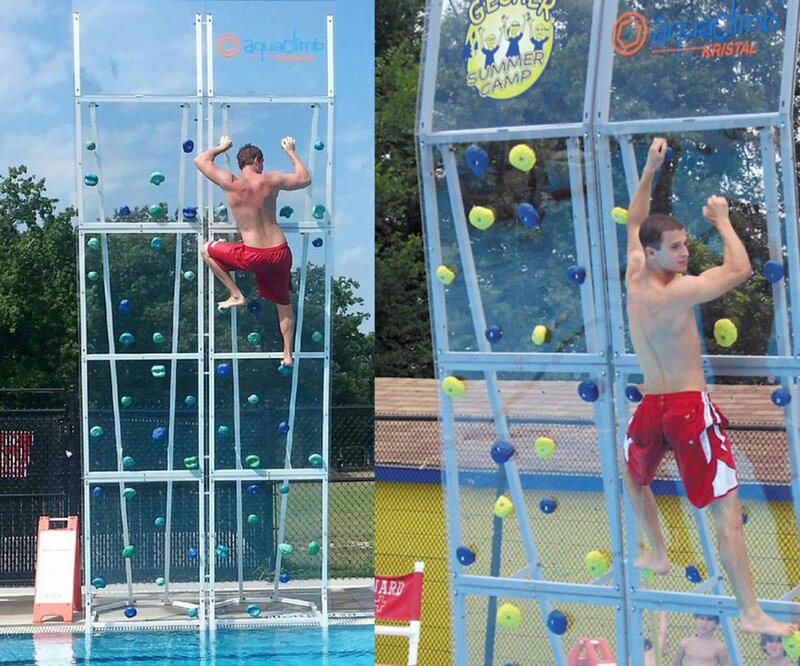 An AquaClimb wall attracts new visitors and serves many different types of users. From helping kids build self-esteem, to adult strength training, our climbing walls expand your poolside programming with a low-maintenance attraction with the “wow factor” to bring in new patrons. An innovative wave-like frame with customized wall sizes! An innovative climbing experience up to 30 feet high! Warrior play, just add water! Enhanced climbing experience with 3D contour panels! Daredevils of all ages will love this thrilling new way to launch into the pool! A safe, fun alternative to slides and diving boards, AquaClimb® walls make a great addition to your fitness and recreation programs, provide supplemental training for aquatic sports teams, and are a unique, fun way for kids to learn about climbing, take risks in a controlled environment, and develop healthy skills for life. We're launching new & improved products in 2019! Contact us to get the first look when new products are released! 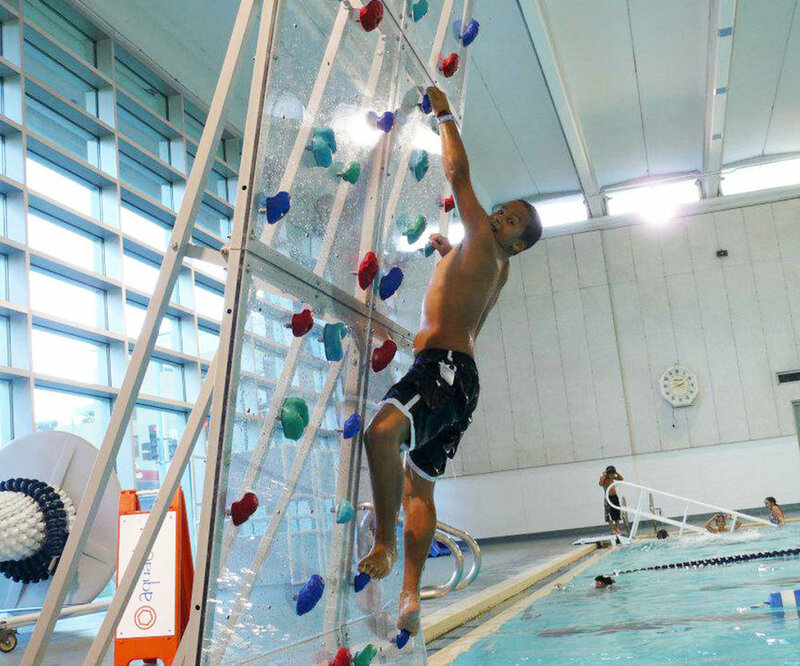 AquaClimb® walls aren’t just a fantastic poolside attraction. They’re a safe way to play. They are specifically designed to eliminate the dangerous situations that can cause injury when sliding and diving. 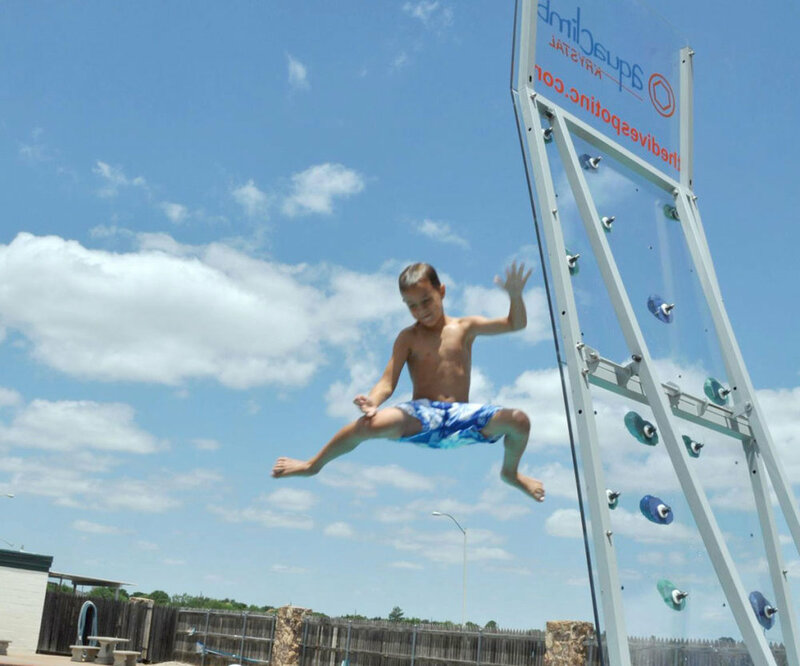 AquaClimb® is a safer alternative to diving boards and slides for both children and adults. "I WISH WE HAD FOUND AQUACLIMB SOONER!" "MADE OUR POOL EVEN MORE ENJOYABLE." "WE SAW A 40% INCREASE IN ATTENDANCE OVER LAST YEAR." "THE KIDS ABSOLUTELY LOVE IT!" "THERE ARE LINE UPS EVERY PUBLIC SWIM." "IT'S A GREAT CONFIDENCE BUILDER." "WE REPLACED 2 BOARDS WITH A CLIMB AND LOVE IT." From resources for architects and planners to support for existing customers, our team is here to guide you every step of the way.